No recording artist has more impeccable street credentials than Joe Bataan, the originator of the New York Latin Soul style that paralleled Latin boogaloo and anticipated disco. His musical experience began with street corner doo-wop in the 1950s, and came to include one of the first rap records to hit the charts, 1979's "Rap-O, Clap-O". 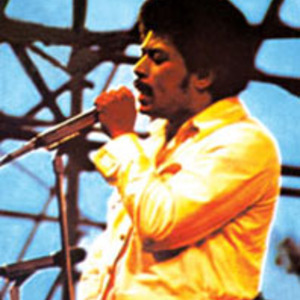 In between these milestones, he recorded classic albums like St.
Latin's Day Massacre, a perennial favorite in the salsa market, Salsoul, which gave the record label its name and helped spark the national explosion of urban dance music, and Afrofilipino, which included one of the very earliest New York disco hits, an instrumental version of Gil Scott Heron's "The Bottle". Born Peter Nitollano, of African-American/Filipino parents, Joe Bataan grew up in Spanish Harlem, where he ran with Puerto Rican gangs and absorbed R&B, Afro-Cuban and Afro-Rican musical influences. His music career followed a pair of stints in Coxsackie State Prison. Self taught on the piano, he organized his first band in 1965 and scored his first recording success in 1967 with "Gypsy Woman" on Fania Records, . The tune was a hit with the New York Latin market despite the English lyrics sung by Joe, and exemplified the nascent Latin Soul sound. In early anticipation of the disco formula, "Gypsy Woman" created dance energy by alternating what was fundamentally a pop-soul tune with a break featuring double timed hand claps, . Joe would take this tendency even further on his influential Salsoul, which fused funk and latin influences in slick yet soulful orchestrations. Salsoul remains influential as a rare groove cult item, but pointed to the future at the time of its release. The LP embodied the artist's highly deliberate and culturally aware musical concept. Bataan theorized the '70s next big thing as a hybrid: an Afro Cuban rhythm section playing Brazilian influenced patterns over orchestral funk. In many ways, his vision was on the money, though most of the money would go to others, and mainstream stardom would elude him. He did, however, get in on the ground floor of the new trend as an early hit maker. His biggest commercial move was a Salsoul production released under the Epic umbrella, and promoted to the new disco market as Afrofilipino, which included 1975's "The Bottle", a much anthologized classic that drives an R&B horn arrangment with a relentless piano montuno. Always in touch with the street, Joe Bataan picked up on rap very early in the game. His minor rap hit, "Rap-O, Clap-O" was a bit more successful in Europe than in the States, and is remembered as rap's debut in the European market. Nevertheless, his legacy remains his gritty and realistic Latin soul lyrics, his self identification as an "Ordinary Guy", and his highly personal and prophetic merger of Latin and soul influences.